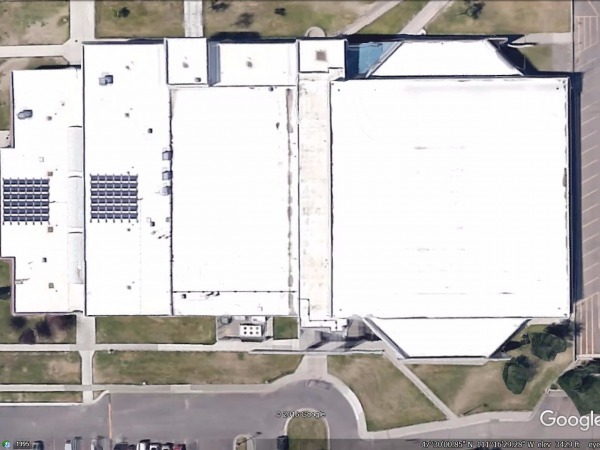 Onsite Energy was subcontracted by Cascade Electric, one of Montana’s longest standing and reputable electrical contractors, to provide design, installation, and training support for this 16.92 kW solar electric system on the Great Falls High School. 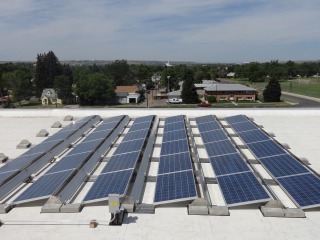 Using a non-penetrating ballasted racking system, the solar array was split into two separate sub-arrays in order to accommodate specific engineering requirements, while also providing a good visual location for the lower sub-array to be viewed through classroom windows. The system will not only offset energy usage within the facility but will also act as an educational foundation for science and vocational curriculum within the high school. 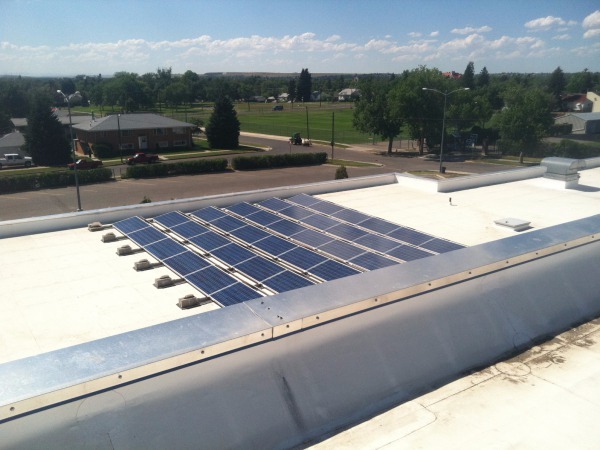 "Mr. Thornton has been very helpful and knowledgable regarding all aspects pertaining to the solar industry. 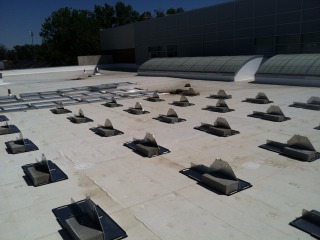 His practical knowledge and experience concerning site visits, material procurement, and final installation and maintenance was one of the main reasons our firm felt comfortable pursuing this type of work. 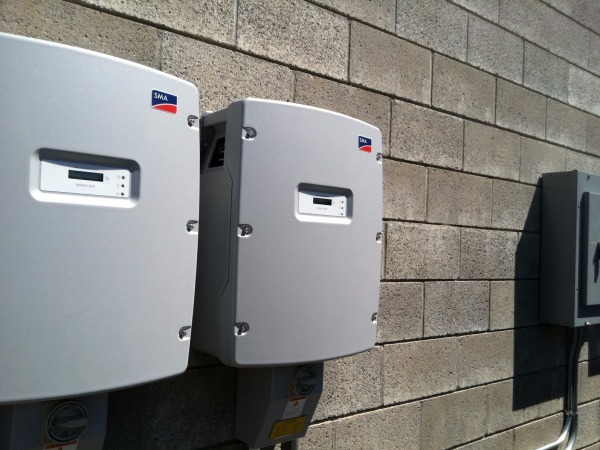 Looking at present work and future projects, Cascade Electric will definitely continue to build and rely on the services provided by Onsite Energy. In my professional opinion, Mr. Thornton's honesty and communication skills are vital in any business relationship, while building trust and integrity."